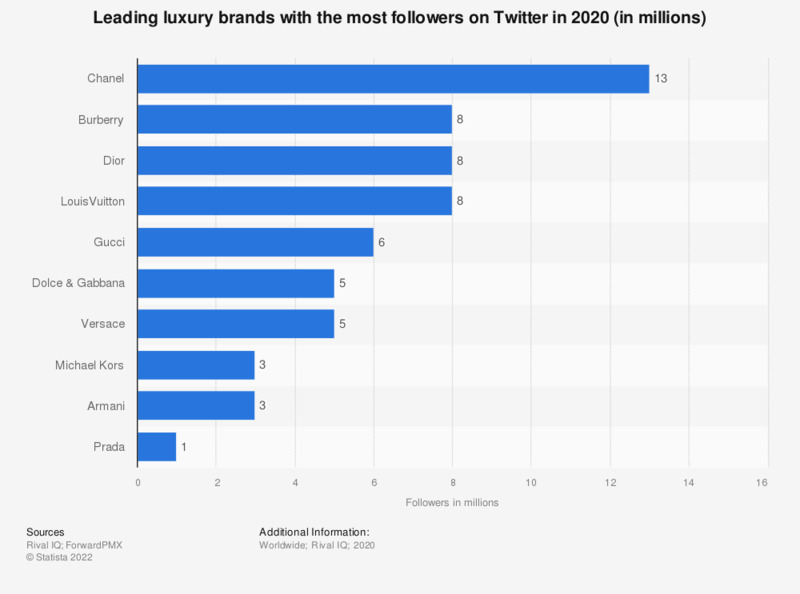 This statistic provides information on the most popular luxury brands on Twitter, ranked by number of followers. As of May 2018, French luxury brand Chanel was ranked first with close to 13.6 million Twitter followers, followed by Marc Jacobs with 9.3 million followers. Will the uncertainties about Brexit mean you will buy fewer premium products in the next two years?